The Bridge House, built in either 1811 or 1814, is the oldest documented residential structure in Newfoundland. Alexander Strathie of Greenock, Scotland, designed and built the dwelling for fellow Scotsman and prominent Bonavista merchant, William Alexander. The Strathies settled in Bonavista and became known as the area's premier family of builders between 1811 and 1940. A Georgian style home, the William Alexander House is the only one of its kind in Bonavista. William Alexander later made a significant contribution to the cost of constructing a mortuary chapel that bears the family name. 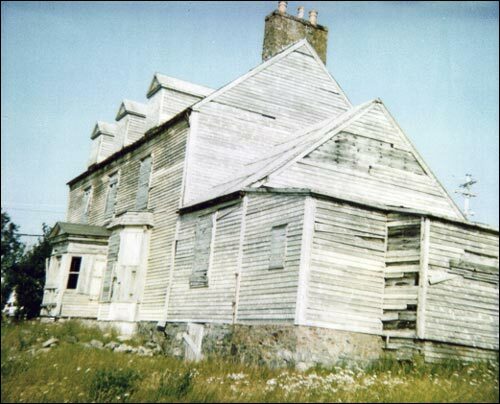 In December 1986 the Alexander House was designated as a Heritage Structure by the Heritage Foundation of Newfoundland and Labrador. Also view the William Alexander House (Bridge House) Registered Heritage Structure, and the William Alexander House (Bridge House) Municipal Heritage Site on the Heritage Foundation of Newfoundland and Labrador web site. The Newfoundland and Labrador Heritage Web Site has on its site only a portion of the registered heritage structures in Newfoundland and Labrador. To view a complete list or search for a particular structure visit the Heritage Foundation's Property Search page.